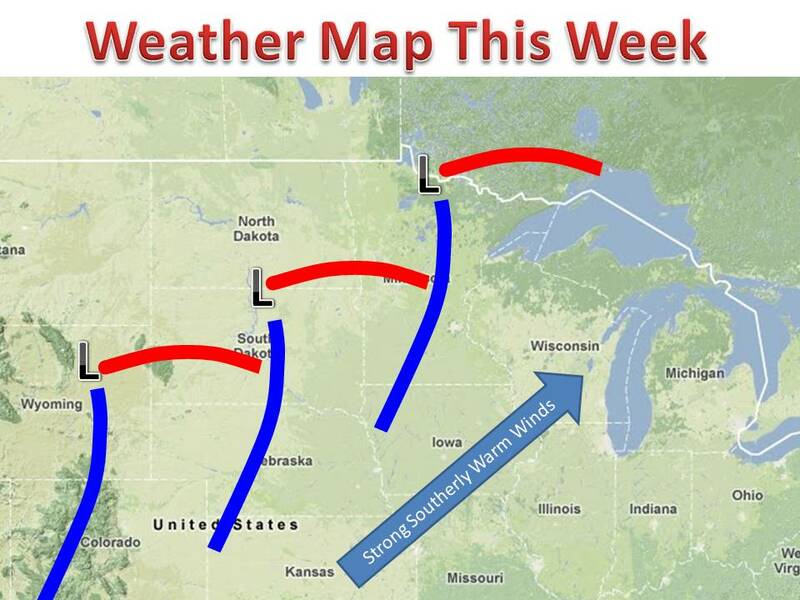 A warm and stormy week is in store for much of the midwest this week. The storms will really get going on Tuesday. The storm is emerging from the Rockies right now and will rapidly develop tonight and tomorrow. Damaging winds and hail appear to be the highest threat. 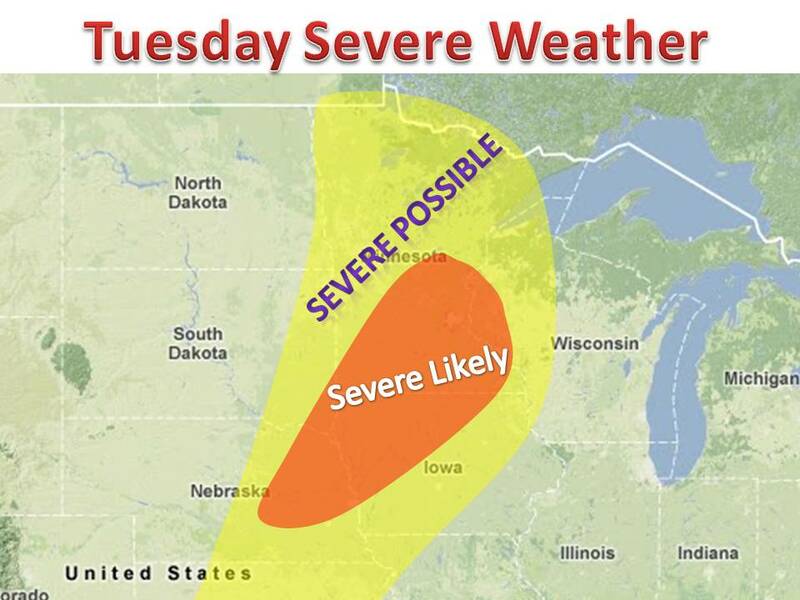 The storm will then progress north east into Canada and the severe threat will shift East on Wednesday. Stay tuned for updates.